Our designers turn your creative ideas into reality, while Pushing the boundaries of Structural and Graphic packaging design. Proudly featuring an award winning design team, Wasatch Container continues to push the boundaries of design further and further each year. At any stage of your product cycle, our designers can come in and improve upon, or start from scratch on a new vision for your packaging. Not just for retail, but for industrial, medical, and aerospace shipping applications. We believe good design should solve problems and inspire, but we also believe in achieving this collaboratively. We align our process with your needs, and simply become an extension of your team. With every project different from the rest, we manage projects though various means, from google hangouts to Skype, phone and email. Focus on the solution, and all else will follow. Files too big? No problem, send up to 20 gigabytes at once via we transfer. FTP sites are old school. 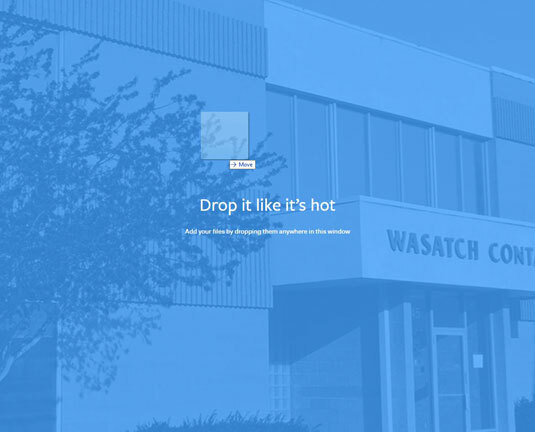 Just click the link, drag, and drop it like it's hot. We create packaging solutions that sell. Let's exceed your expectations. Get started on a project today!